S.S. Rajamouli is not disappointed that "Baahubali 2: The Conclusion" was not chosen as India's official entry to the Oscars this year. S.S. Rajamouli is not disappointed that his magnum opus “Baahubali 2: The Conclusion” was not chosen as India’s official entry to the Oscars for the foreign language film category this year. The filmmaker says his aim is to take stories to a wider audience, and making money for the team, instead of winning awards. “(I am) Not at all (disappointed at losing out the race to Oscars this year). When I make a film, I never think about awards. It is not my aim. The aim is to first satisfy myself with the story and then next is to see that it reaches the maximum number of audience and makes money for everyone who has put their life in it,” Rajamouli told IANS here. “That is my most important thing. If awards come, then I am happy. If they don’t, I don’t mind that because they are not at all my criteria,” he added. “Newton”, a Hindi film set against the backdrop of elections in the world’s largest democracy, has been announced as India’s official entry for the the foreign language film category at the Oscars. “Baahubali 2: The Conclusion”, which will have its TV premiere on Sony MAX on October 8, was also reportedly in contention. 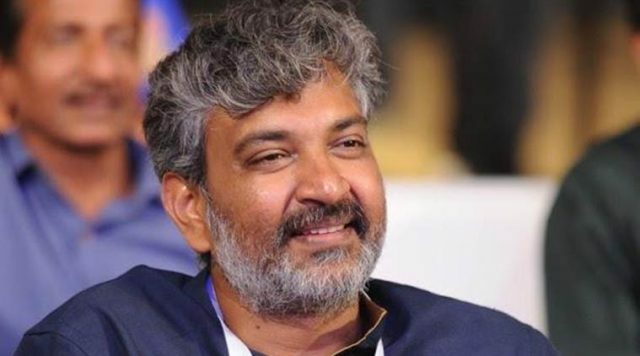 Rajamouli attained global fame as the creator of the “Baahubali” universe — which went on to become India’s biggest blockbuster with worldwide earnings of over Rs 900 crore. Starring Prabhas and Rana Daggubati as the male protagonists, the film’s story is about the battle for the ownership of an ancient kingdom between two brothers. The story is woven together in two parts with dance, music, emotion and drama. It also features Anushka Shetty, Ramya Krishnan, Tamannaah Bhatia and Sathyaraj. The first part “Baahubali: The Beginning” came out in 2015 and the second “Baahubali 2: The Conclusion” was released earlier this year. The filmmaker says he is yet to come out of the “Baahubali” spell. “It is quite a complicated spell that you cannot just say ‘Okay, I just got out of it’,” said the filmmaker, who worked with Dharma Productions to help the film transcend language barriers. He said he was sure that the film will be successful, but its popularity in northern India stumped him. “The total budget of both the films was Rs 150 core. If we hadn’t expected that the film will do very well and aim good result — simple economics will point out that we would not have done the movie at all,” he said. After the success of the franchise, Rajamouli says he has “lost a little bit of privacy in the northern belt as well”. “But nothing else has changed. I am as content as I was before the film released,” the director said.